Ever wondered why it’s hard to find harmony? And do you think this lack is stopping you from achieving your maximum health: mentally, spiritually, and physically? Do you need body mind and spirit balance? It’s perfect for energy healers? Perhaps you’re looking for new tools that you can use for your healing sessions? Maybe you’re interested in helping people to balance mind, body, and spirit? Then the unique techniques you’ll learn here is something for you! It doesn’t matter if you are a Reiki practitioner, Shaman, or a Medium, the main goal of any healing form is to bring balance to your energy, and the energy of others. Daniela has learned a lot of different forms of energy healing. Some of these methods and techniques are very special to her, and she would like to share one of them with you in this course. The technique is based on a method from the Tibetan Medicine. She learned this method back in 2003 in the course “Ecology of Thought”. Are you an Energy Healer? Are you looking for new tools? Are you interested in balancing mind, body, and spirit? 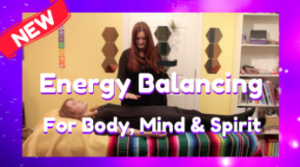 Then Energy Balancing For Body, Mind and Spirit is something you would love to learn. 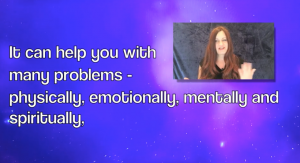 It can help you with many problems – physically, emotionally, mentally and spiritually – because this method will balance the left and right sides of your body, and brain hemispheres, which is very important to activate the self healing process. With your focus, intention, and imagination you create an orb of energy in the solar plexus of the client. Out of this orb you pull an energy stream through the clients energy channels of the body, until the client feels harmonized and balanced. You can learn this method in a short time of one hour! If you are a Healer, than you need to know this technique! In conclusion, body mind and spirit balance is important for the teacher and the student: get Energy Balancing For Body, Mind and Spirit now!